Guide to Staying Safe during Black Friday: What to Do if You Get Assaulted or Injured? On behalf of admin of JML Law, A Professional Law Corporation posted in Personal Injury on Monday, Nov 20 2017. If you’re like most people in Los Angeles, you obviously want to get the best deals on the holiday sales on Black Friday. Millions of people in Los Angeles and all across California wait one year for Black Friday, which, for many, is the only opportunity to afford a costly TV or PlayStation (or even clothes). But unfortunately, only a few are actually lucky to squeeze through those miles-long lines at Walmart and Target to get a discounted item. And folks don’t exactly feel happy when they realize that the shopping center ran out of their long-awaited TV or a pair of Yeezy’s. And if they happen to see the person who was lucky to buy that last pair of shoes, things oftentimes get out of control and unlucky Black Friday bargain hunters get violent. Fact: during 2016’s Black Friday alone, three people were killed and six were injured in a series of gunfire incidents that erupted outside of shopping centers across the U.S. (not to mention other violent encounters inside department stores that day). Fact #2: according to BlackFridayDeathCount.com, more than 100 people were injured in Black Friday-related incidents since 2006. Is Walmart or Target to blame for your injuries? Here at JML Law, we have seen – and handled – cases like these every Black Friday, every year in the past 35 years in Los Angeles and elsewhere in California. Aside from violent customers, there are a plethora of other potential hazards at shopping centers that may cause injury during Black Friday. On the post-Thanksgiving shopping day, retail employers at Walmart, Target and other shopping centers are required to take extra safety measures to prevent violence and assaults during the busiest shopping day of the year. If they fail to provide thousands of Black Friday bargain hunters with necessary and reasonable safety precautions, they may be held liable for your assault injuries or other personal injuries under a premises liability claim. 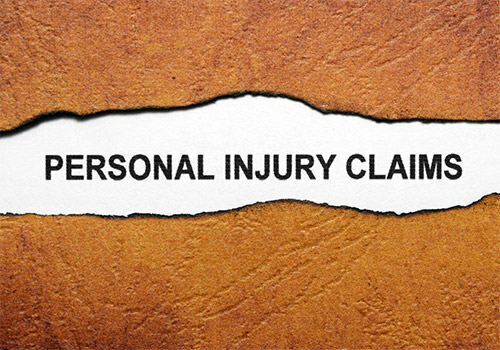 An injured customer may pursue a premises liability claim or a personal injury claim for compensation with the help of a Los Angeles personal injury attorney at JML Law. How to stay safe during Black Friday? there must be an adequate number of trained security personnel or police officers guarding the shopping center and protecting customers. barricades or ropes must be used in order to hold back customers. crowd control measures must be implemented in order to avoid chaos in Black Friday lines. the retail employer and their personnel must know emergency procedures in case an emergency situation takes place. retail employees must explain entrance and exit procedures to customers. people must be stopped from entering the shopping center once maximum occupancy is reached. These and many other guidelines by the OSHA are supposed to protect millions of Black Friday bargain hunters during the year’s busiest shopping day, and yet, only a few retailers actually follow them. If you were assaulted or otherwise injured during Black Friday, don’t hesitate to contact a Los Angeles personal injury attorney at JML Law. Our team of professional lawyers have provided clients with superb legal representation, helping them recover five- to eight-figure payouts in damages. Consult our personal injury or premises liability attorney today by calling at 818-610-8800 today or send an email to get a free initial consultation.